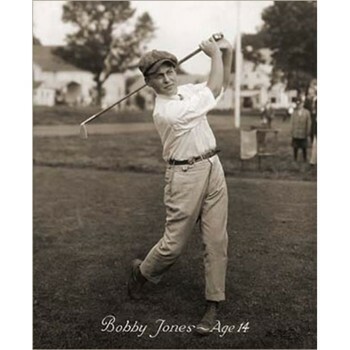 This photograph of young Bobby Jones was originally taken by famous photographer George Pietzcker. The future golf legend was 14 years old at the time. This black and white photo has a sepia tone.